When most people go shopping for carpet cleaning they often don’t realize that the decision they make could affect the health of them and their family. 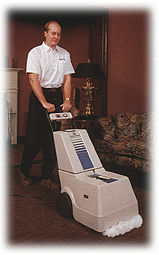 If you have had a low-priced carpet cleaner to your home, you likely know how quickly they finished the job and how wet they left your carpets and underpad. 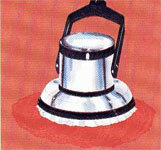 Wet carpet and underpad is the perfect breeding ground for mould, mildew, and bacteria. All things you were hoping to get rid of when you had your carpets cleaned. 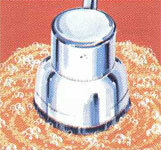 Cheap carpet cleaning companies usually use the lowest priced, toxic carpet cleaning chemicals. These chemicals also wind up in your underpad and carpet. When it eventually dries, these now powdered residues go airborne when you step on the carpet and are breathed in. Low priced carpet cleaners use low-priced employees that are rarely trained in the proper methods to sanitize and remove the pathogens from your carpets and rugs. Finally, many low-priced companies do not take the time to properly clean and sanitize the equipment they are bringing into your home. 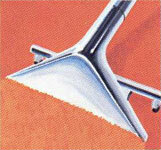 Do you really want the last customer’s dirt in your carpets?. The most important result of having your carpets cleaned is not how they look (although you really do want them looking great) but how much healthier your home or workplace will be after they are cleaned. Make sure whoever you decide to hire does a great job and not just a cheap job.